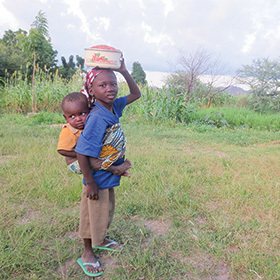 Christian workers diligently work in poverty-stricken communities of northern Cameroon. Though this area is dangerous to Christians, the believers there are so committed to Bible translation, Scripture impact, and the transformation of communities that they are sacrificially giving of their meager crops of millet. The adults and even the children bring cups of millet—sold to support their Bible translators. Please join them today and give generously to help bring God’s Word to these people yearning for the Word of God in their heart language and spiritual transformation in their communities.